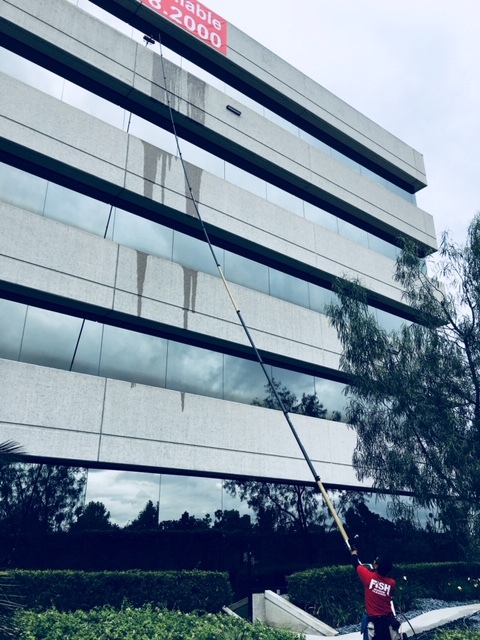 Welcome to Fish Window Cleaning Fullerton, Brea, Placentia, Anaheim, Anaheim Hills, and Yorba Linda, CA. We are your local bonded and insured window cleaners and we're ready to make your home or business sparkle! Our professional team is friendly, uniformed, and trained to provide the highest quality service. "Fish Window Cleaning is professional, friendly, courteous, and does an excellent job on cleaning on windows."